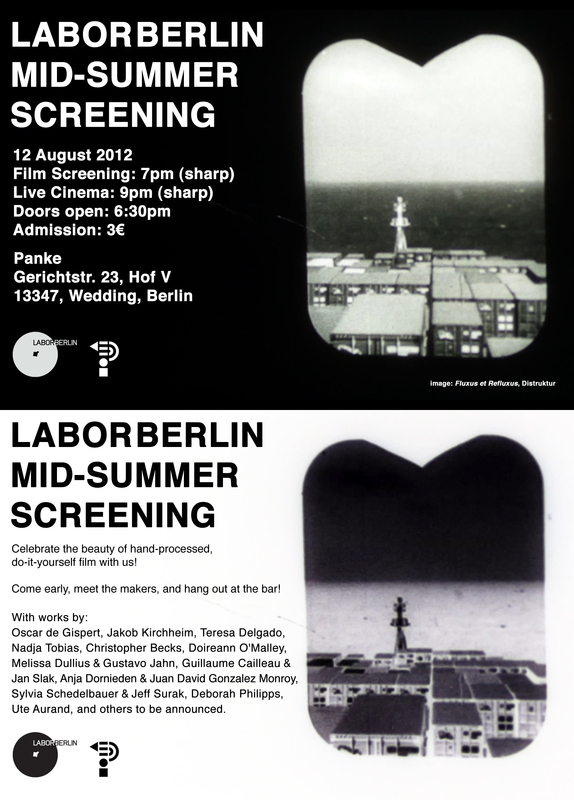 LaborBerlin is pleased to present a selection of films and a performance by its members at the 9th Directors Lounge. 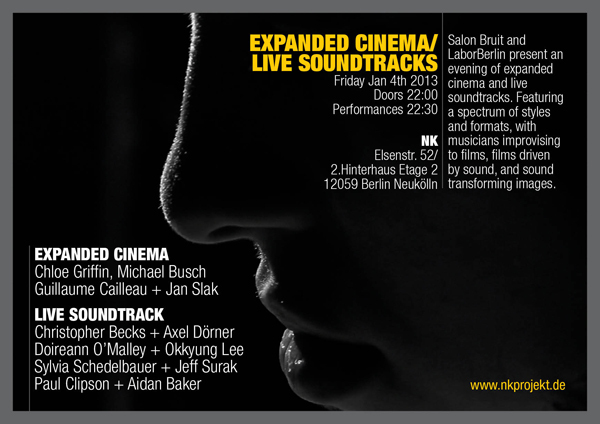 The New Year kicks off with an exciting evening of expanded cinema and live soundtracks, co-hosted by Salon Bruit and LaborBerlin at NK Projekt, Elsenstr. 52, 12059 Berlin. 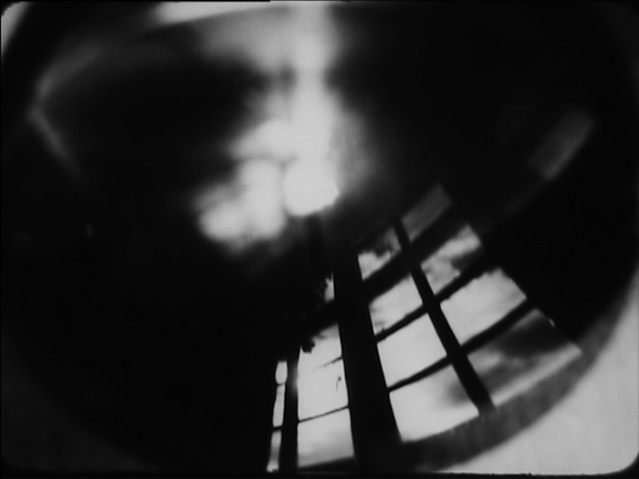 The program features a spectrum of different styles and formats, with musicians improvising to films, films driven by sound, and sound transforming images. Guillaume Cailleau’s work encompasses film, installations, video and performance. He is interested in disclosing things that are just next to obvious, while exploring and exploding the boundaries of the cinematic image; often in collaboration with other filmmakers, musicians, graphic designers, painters, scientists, theater directors, and children. His work has been shown internationally, at Centre Pompidou, Royal Ontario Museum Toronto, Haus der Kulturen der Welt Berlin, and at the International Film Festivals in Berlin, New York and Rotterdam, and at the Shortfilm Festival in Oberhausen etc. Chloé Griffin was born behind a gas station in El Cajon, California, and raised in Canada. She is based in Berlin and has recently lived in Cairo and Beirut. She makes films involving cut-up and hand painting processes and is currently working on a book about the life of Cookie Mueller. Axel Dörner has worked together with numerous internationally respected figures in the fields of “Improvised Music”, “Composed Contemporary Music”, “Jazz” and “Electronic Music”. He has developed a unique style of trumpet playing based in part on unusual, often self-invented techniques. He has toured in Europe, North and South America, Australia, Japan and Asia (Hongkong) and appeared on numerous CD and record releases. Doireann O’Malley is oringinally from Ireland, she Lives & Works in Berlin. 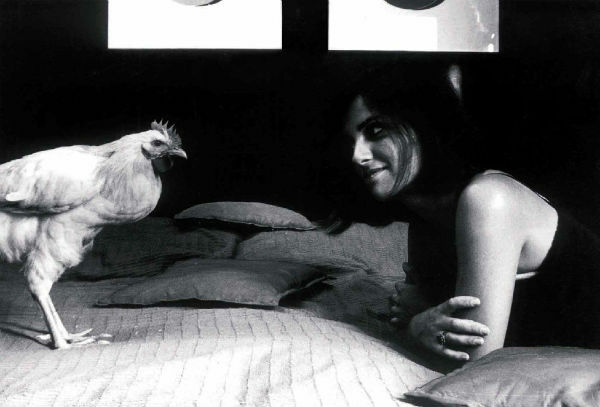 Her work encompasses film, photography, poetry, drawing, found images and sound. Selected upcoming shows include: Triskel Arts Center, Cork, Ireland; Elisa Platteau & Cie Galerie, Brussels; Galerie Parisa Kind, Frankfurt Am Main. Jan Slak, drummer, student at Drum Academy Berlin, plays with punk rock bands, studies jazz and performs with multimedia artists. 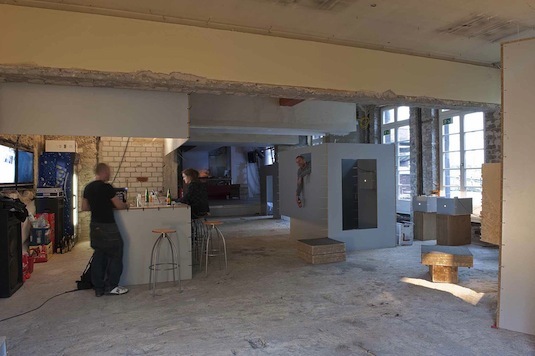 As part of “Leerstand 2012”, Kit-e.V., invited LaborBerlin e.V. to present films and film-related performances. The works are very diverse, both thematically and technically, offering a wide range of cinematographic experiences. Some of the artists will be present during the event: Clara Bausch, Anja Dornieden, Melissa Dullius, Imogen Heath, Gustavo Jahn, Doireann O’Malley, Juan David Gonzalez Monroy, Iana Stefanova, Nicolaus Tscheschner, Nadja Tobias. Those of you who happen to be in the Ruhr area on Dec 21st and 22nd, please feel kindly invited to join us! Join us for the after party in the Gewölbekeller of Theaterkapelle! 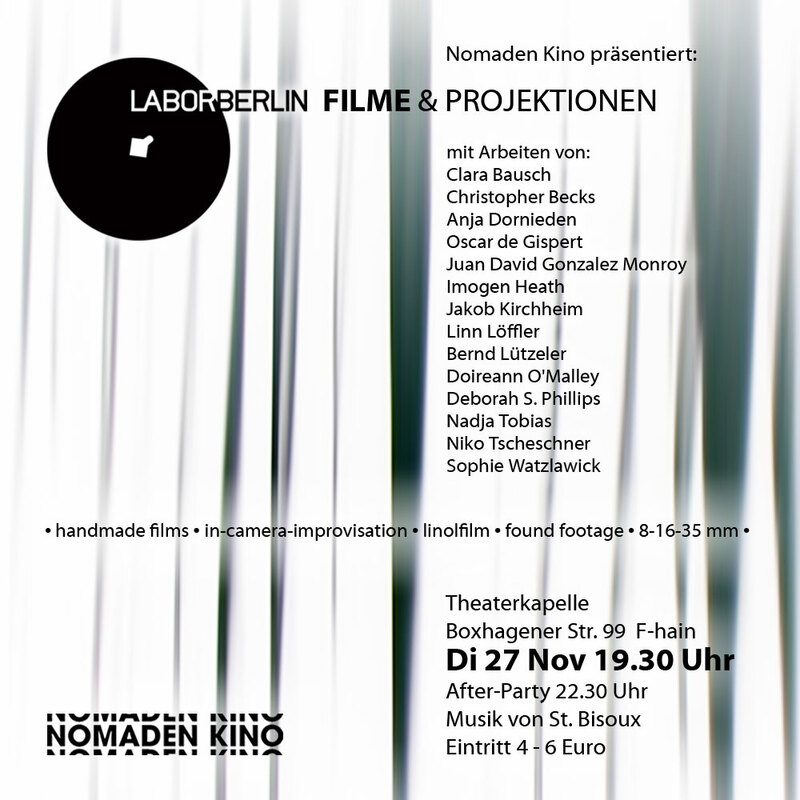 Filmemacher, Künstler, Studenten und Amateure aus Deutschland und Griechenland sowie aus Ägypten, Serbien und den USA haben in einem siebentägigen Workshop, der im September 2011 im LabA (Laboratory Athens) und im Goethe-Institut Athen stattfand, eigenhändig Filme über die griechische Hauptstadt hergestellt. Sie haben mit Super8- und 16-mm-Film gedreht, haben das Material selbst entwickelt, geschnitten und projiziert. Das Ergebnis sind 19 Kurzfilme, die nun als Gesamtprogramm in Zusammenarbeit mit dem Arsenal – Institut für Film und Videokunst e.V. in Berlin erstmals außerhalb Griechenlands präsentiert werden. Zu Gast aus Athen: Vassily Bourikas, Katerina Evangelakou, Alexandros Kontos, Yannis Yaxas und aus Berlin: Clara Bausch, Guillaume Cailleau, Matthias Fritsch und Philip Widmann. 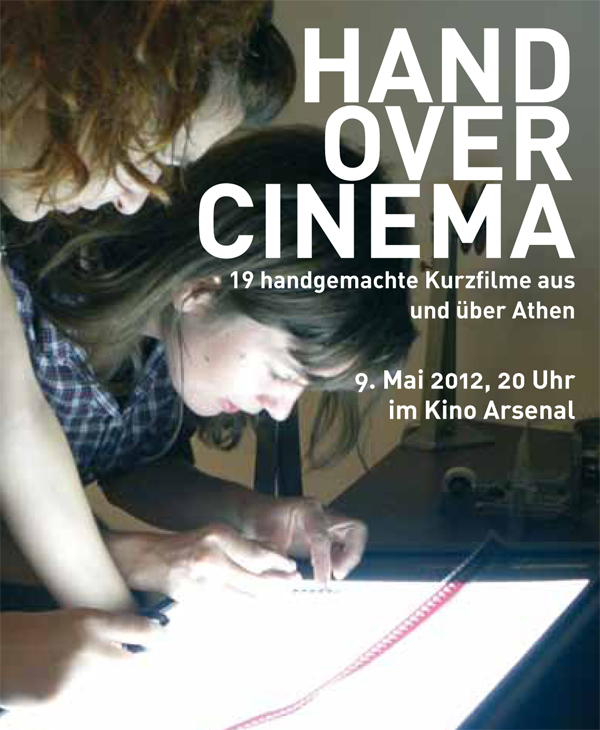 Der Workshop „Hand Over Cinema Athens 2011“ ist eine Koproduktion von Goethe-Institut Athen und LabA, in Zusammenarbeit mit LaborBerlin e.V. und wurde von Vassily Bourikas kuratiert. 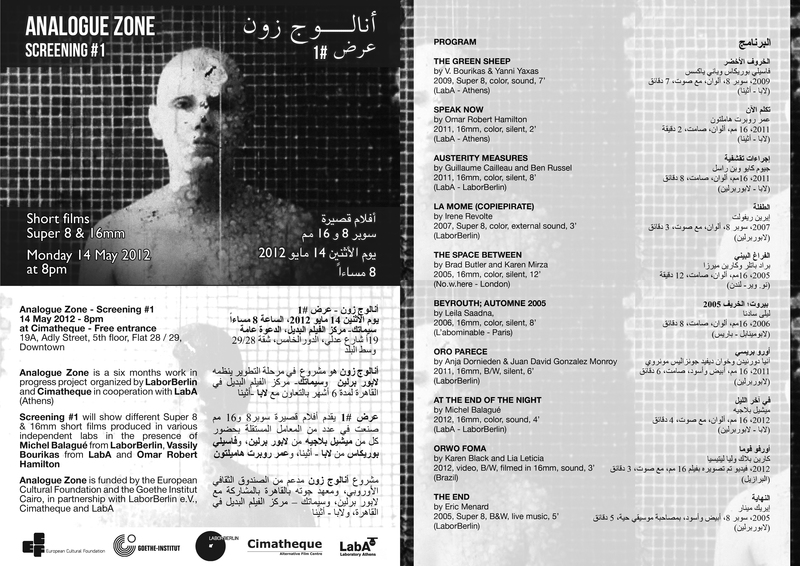 Analogue Zone is a six months work in progress project organized by LaborBerlin and Cimatheque in Cairo. It is based on a celluloid film training program, involving filmmakers, artists, and amateurs from Egypt, Germany, Greece and Lebanon. The program will consist in a collective and collaborative reflection and production on the theme of Transition – in its widest sense – whether political, cultural, social, economic, artistic, or aesthetic. 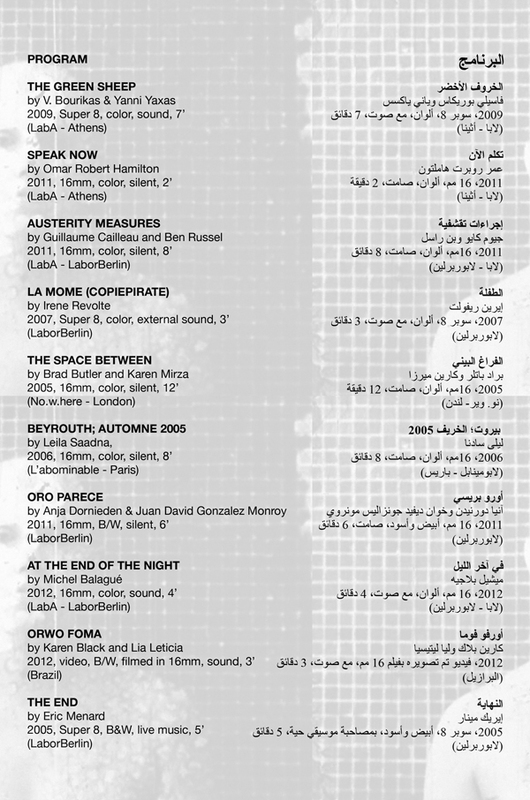 Analogue Zone’s first workshop will be the launching activity of Cimatheque, the alternative film centre opening in Cairo. 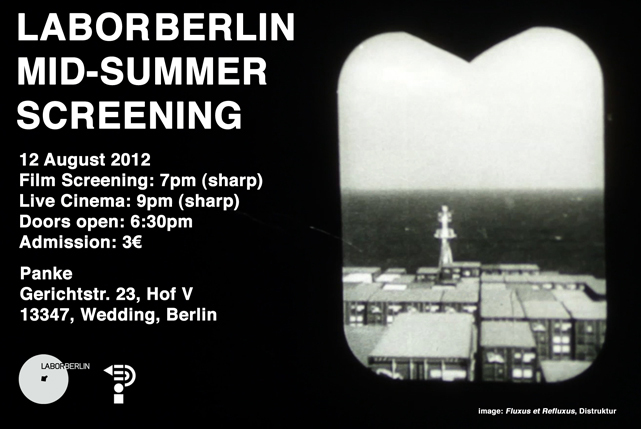 It consists in an introduction to analog film practice – Super 8 and 16mm – from May 13 to 21st, 2012. 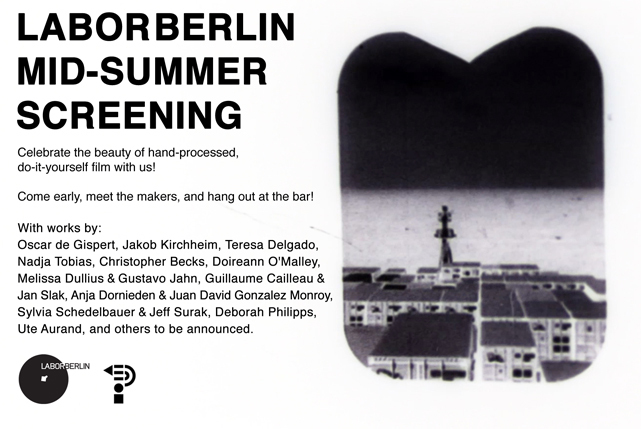 It will be animated by LaborBerlin member Michel Balagué and LabA member Vassily Bourikas. 12 participants will learn how to operate Super 8 and 16mm film cameras, expose different film stocks as well as hand- process, edit and finally project their own films. Prospective participants need no previous knowledge of working with analog film, although experience in camera-based visual practices – photography, video, film and painting – is an asset. 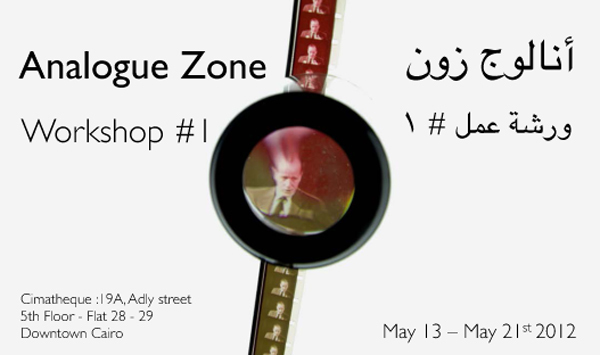 Analogue Zone will coincide with the opening of a fully equipped permanent film lab with cameras, editing and projecting facilities at Cimatheque’s premises in Cairo, the first of its kind in the Arab region. The participants will therefore be able to further their experimentation process following the workshop. Works directed by various members of LaborBerlin e.V., LabA and other Lab associations from Europe will be publicly screened on Monday May 14th, and the films produced by Analogue Zone participants will be shown at the Cimatheque, on Monday May 21st, 2012. Application deadline is on April 25th, 2012. May 13 – 21, 2012 – 10am to 8pm daily – attendance is compulsory Cimatheque – upon application – if selected workshop participation fee is 200 L.E. السينمائي الخام (8 مم، 16 مم) بمشاركة صناع أفلام وفنانين وهواة من مصر وألمانيا واليونان ولبنان. ويتضمن المشروع ورش عمل جماعية لإنتاج أفلام حول فكرة “التحول والإنتقال” بمعناها الواسع سواء السياسي أو الثقافي أو الإجتماعي أو الإقتصادي أو الفني أو الجمالي. وتعد ورشة العمل الأولى لمشروع “أنالوج زون” بمثابة النشاط الإفتتاحي لمركز الفيلم البديل “سيماتك” والذي سيفتتح قريباً بالقاهرة. وتتضمن الورشة مقدمة للتعامل مع الفيلم الخام (8 مم، 16 مم) ويقوم بالتدريب فيها ميشيل بلاجيه من لابور برلين وفاسيلي بوريكاس من لاب أ- أثينا. ويتزامن عقد ورشة العمل الأولى لمشروع “أنالوج زون” مع إفتتاح معمل متكامل لتحميض الأفلام الخام (8 مم، 16 مم) وهو مجهز أيضاً بكاميرات ومعدات مونتاج وآلات عرض ويعد الأول من نوعه في المنطقة العربية. ويتيح المعمل للمشاركين في الورشة فرصة الإستمرار في ممارسة ماتعلموه من خبرات بعد إنتهاء الورشة. Analogue Zone is funded by the European Cultural Foundation, the Goethe Institut Cairo, in partnership with LaborBerlin e.V., the Cimatheque and LabA.